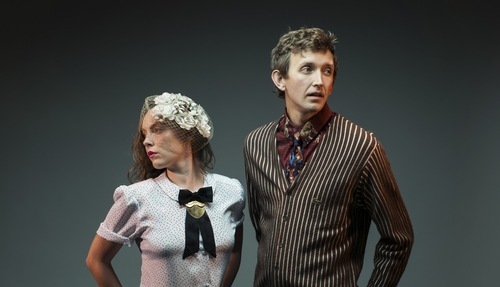 Sylvan Esso started off as a side-ish project between Amelia Meath and Nick Sanborn, but has quickly blossomed into their full time gig, due in no small part of the success of their stunning debut album released earlier this year. In our latest podcast we sat down with Amelia and Nick the morning after they delivered a positively killer set opening for tUnE-yArDs at the 9:30 Club to discuss how the project came together, where they draw their formidable creative spark from, pop music, the internet, Moms and more. So tune in now to what is one of our favorite episodes to date of ChunkyGlasses: The Podcast with Amelia and Nick from Sylvan Esso!